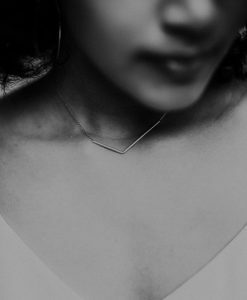 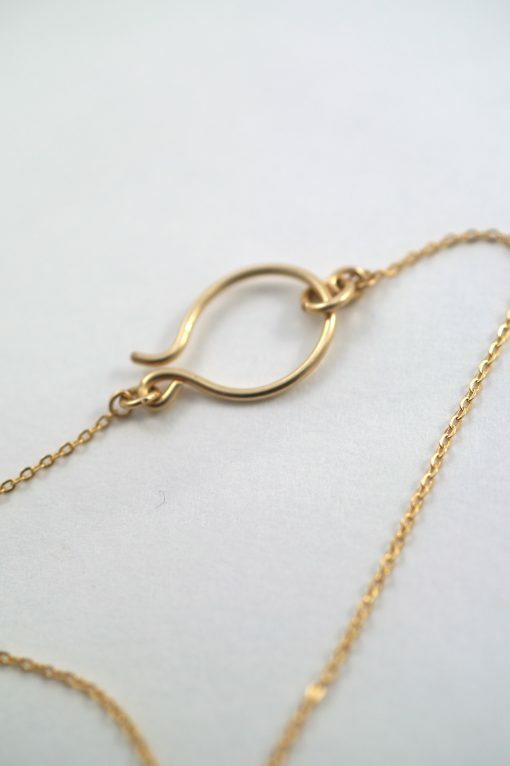 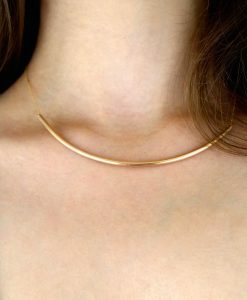 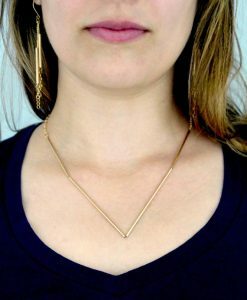 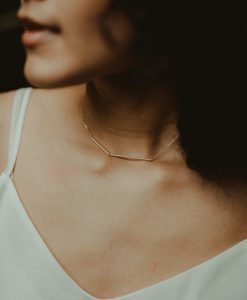 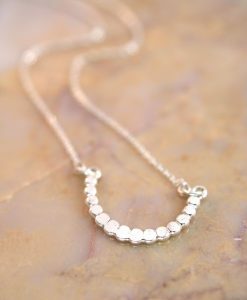 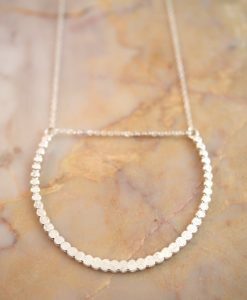 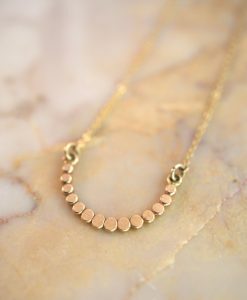 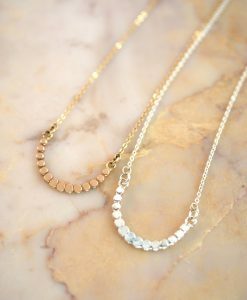 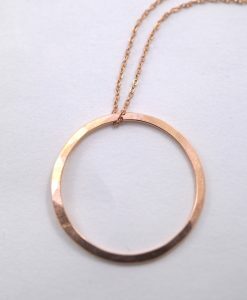 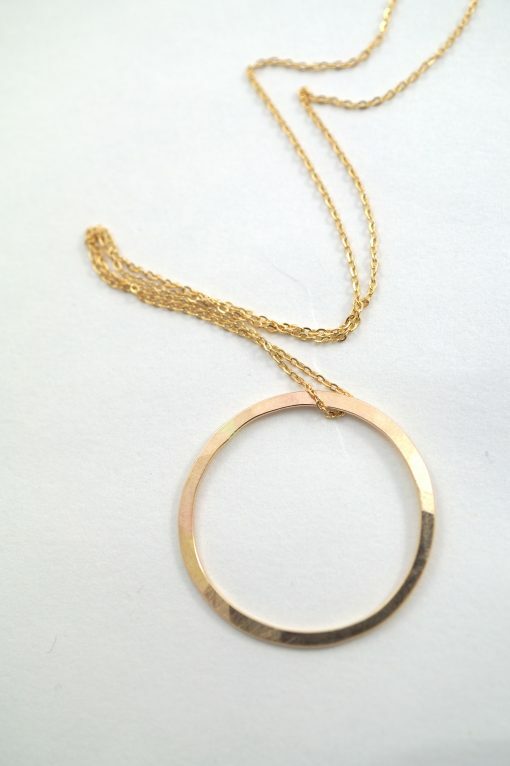 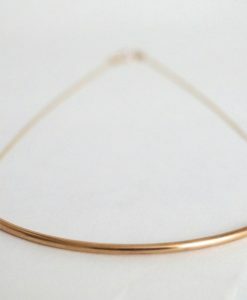 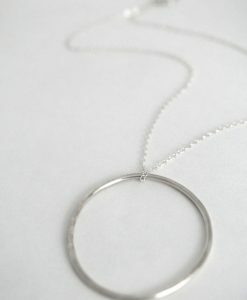 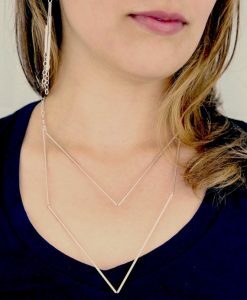 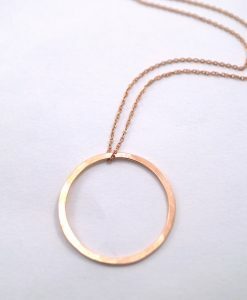 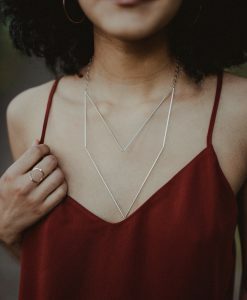 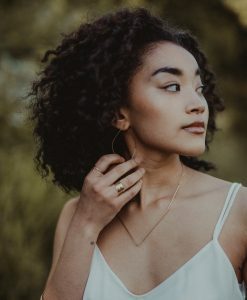 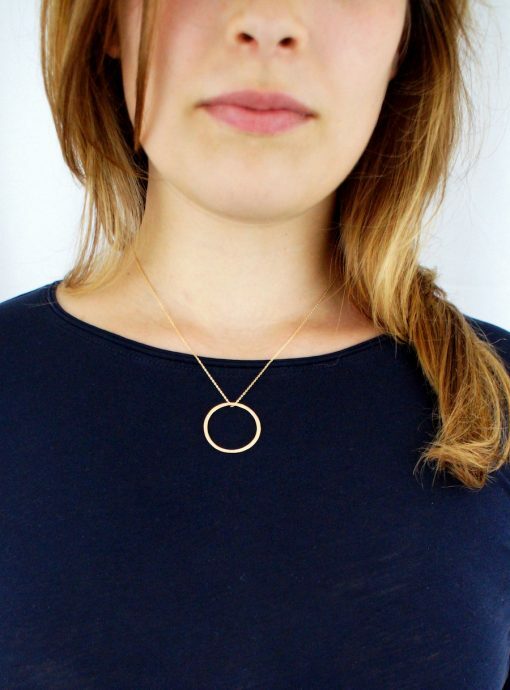 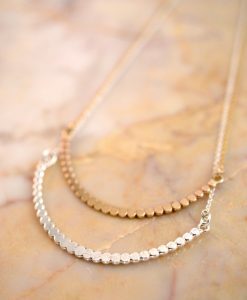 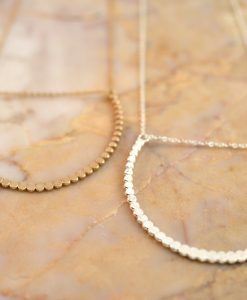 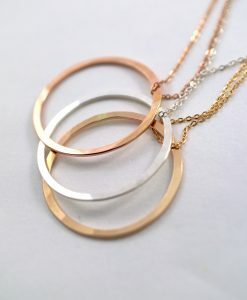 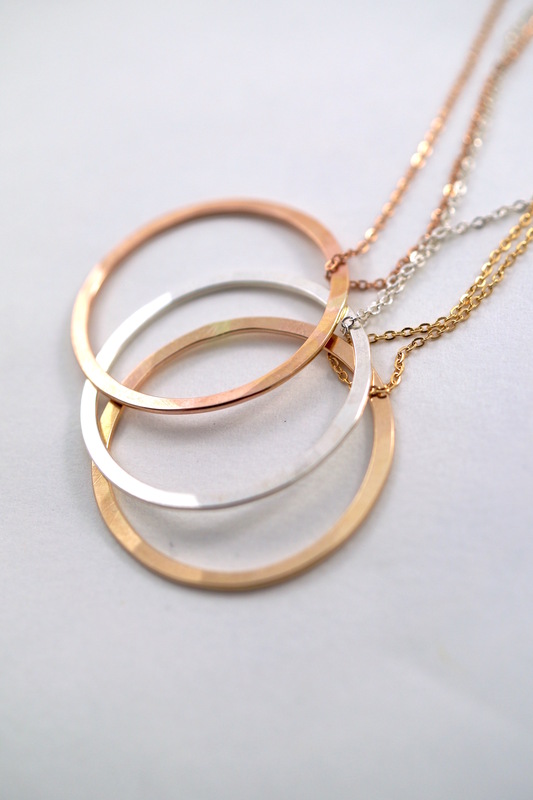 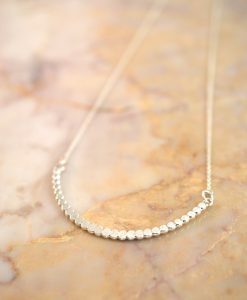 This beautiful necklace will become an everyday staple. 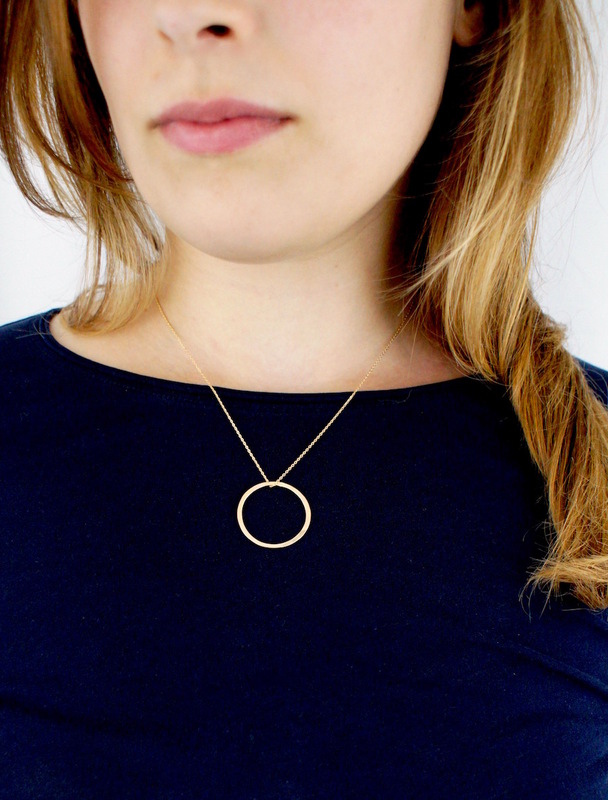 It’s very simple and elegant — adorable with any outfit and really easy to dress up! 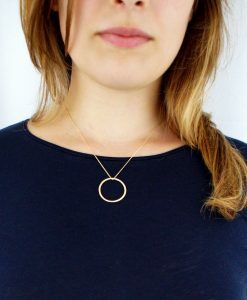 I hand-formed and soldered a 14K Gold-fill ring into an organic circle. 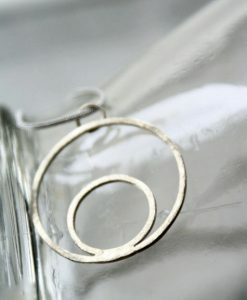 I hammer it for extra width and texture and polish it to a shiny, reflective finish. 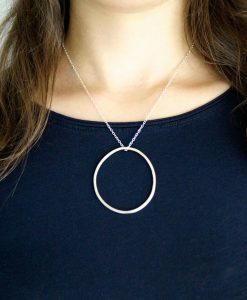 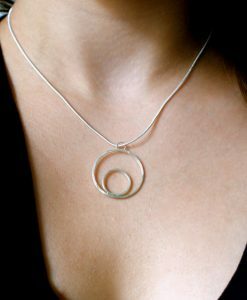 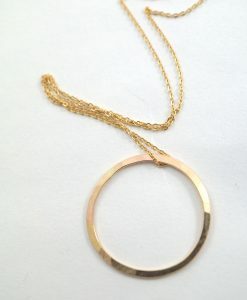 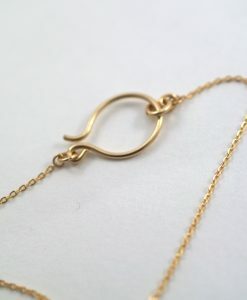 Every pendant will have a slightly organic, circular shape for a totally unique, handmade necklace. The circle measures approximately 1″ in diameter. 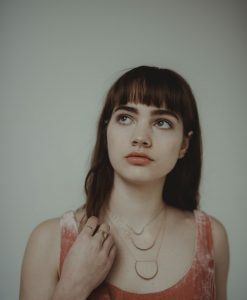 Every piece is organic and unique — no two pendants are exactly alike.